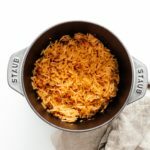 Perfect with enchiladas, tacos, or in a burrito – this restaurant style Mexican rice is easy and addictive. If you’ve ever gone to a Mexican restaurant and had the rice and wondered, how the heck is it so delicious, this post is for you. 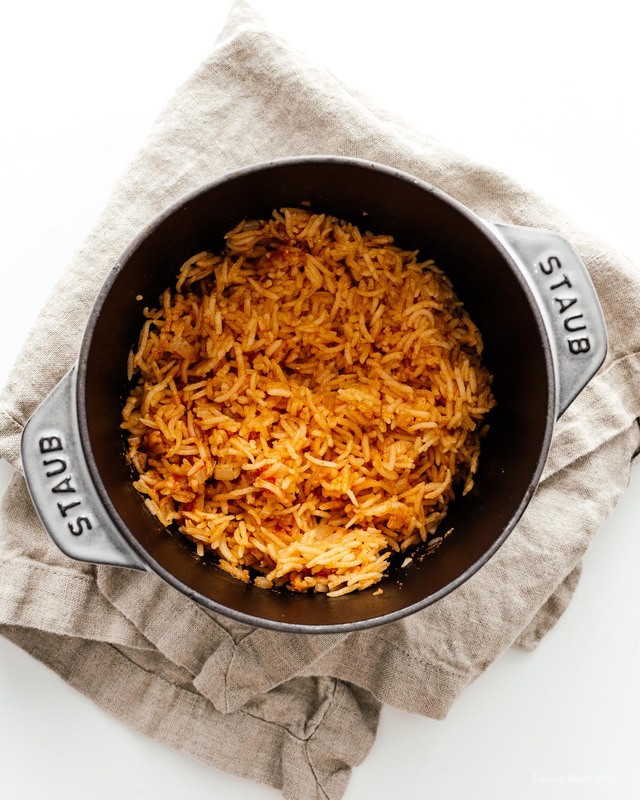 Mexican rice is simple to make with pantry ingredients that you probably have at home. It’s not a lot of work for a huge taste pay off. It goes along great with tacos or chipotle chicken or even chile verde. The concept is simple, sweat off some onions, toast your rice with some cumin and garlic powder, then cook everything with stock and tomato sauce instead of water. 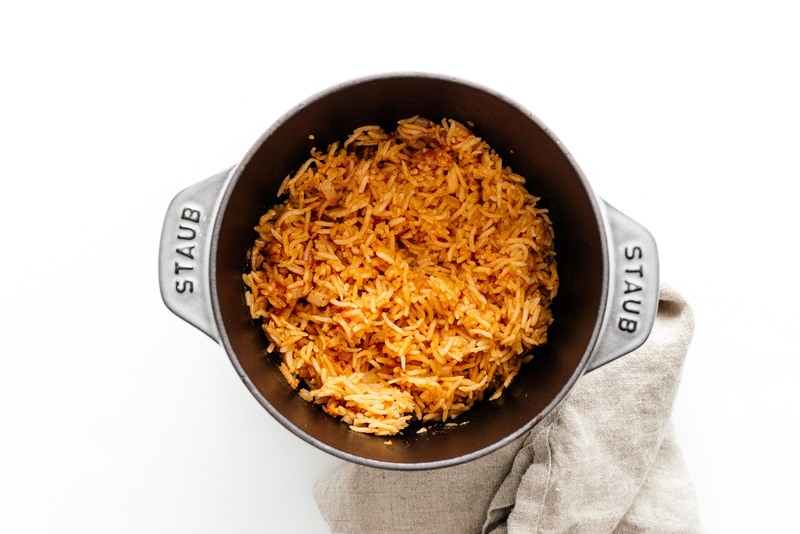 The stock gives the rice an extra boost of flavor and the tomato sauce gives it umami and that pretty orangey-red hue. Everything is made in the same pot, and it’s pretty much the easiest thing you’ll ever do. First, make sure you have a pot with a tight fitting lid. Then, heat up the oil over medium high heat. When hot, add the onions and sauté until soft but not brown, about 1-2 minutes. 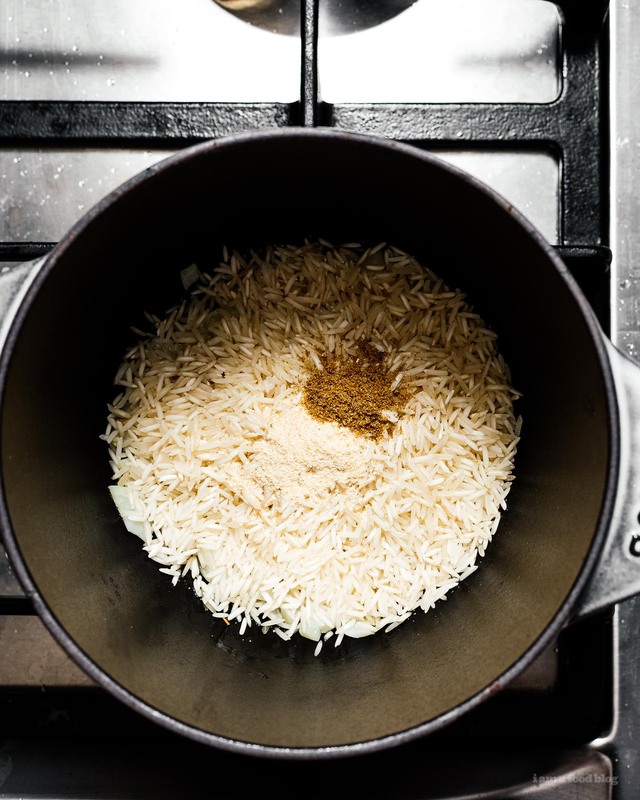 Add the rice and the garlic powder and cumin and fry, toasting the rice in the hot oil, about 2-3 minutes. Stir in the chicken stock and tomato sauce and bring everything up to a boil over medium heat. 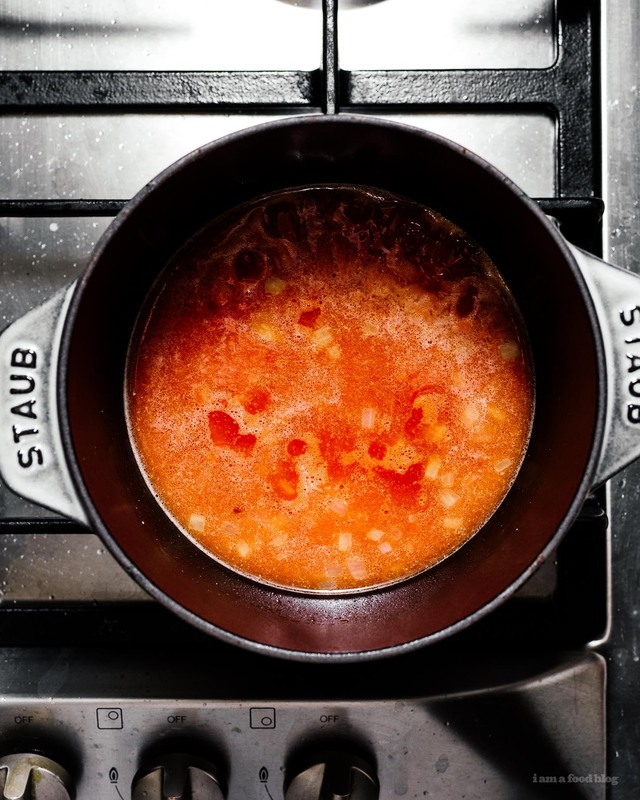 Turn the heat down to the barest simmer and cover with the lid and cook for 17 minutes without peeking. When 17 minutes are up, let sit, with the lid on, for 10 minutes. Remove the lid, fluff, and enjoy! Mexican or Spanish Rice has been a tradition in my family for several generations. I love making extra and having left over Mexican Rice with eggs on top. Yum!